Germany 2006 bribery report: FIFA officials are alleged to have sold rights to yet another World Cup. This is how we roll at FIFA. When FIFA’s Swiss headquarters were raided as part of an FBI investigation over the summer, perhaps one of the least surprising allegations was that the rights to host the 2010 World Cup in South Africa had been won through bribes. After all, the 2018 and 2022 World Cup tournaments—awarded respectively to authoritarian, gay-bashing Russia and authoritarian, slave-labor powered Qatar—have long been under suspicion of the same (FIFA’s suppression of its internal investigation into those tournaments has not alleviated those suspicions). Now a fourth World Cup out of the last five awarded is alleged to have been bought and paid for after the release of a report in the German publication Der Spiegel on Friday claiming that the 2006 World Cup was won through bribery. Internal documents show that a cover was created with the help of global football organizing body FIFA to facilitate the payment. Using the cover, the Germans made a €6.7 million contribution for a gala FIFA Opening Ceremony that had been planned at Berlin’s Olympic Stadium but was later cancelled. 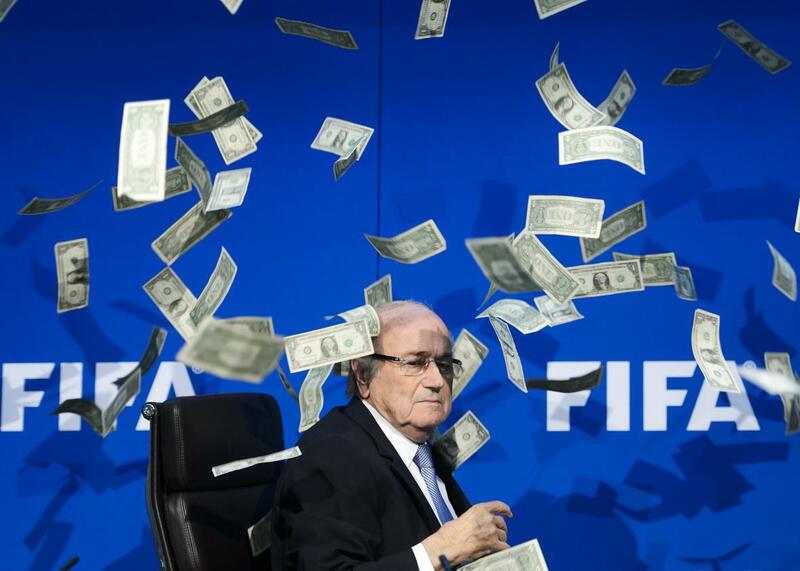 The money had been paid into a FIFA bank account in Geneva. From there, FIFA allegedly promptly transferred the money to a Zurich account belonging to Louis-Dreyfus. While the plot seems almost comically elaborate and the German Football Association denied the charges, the organization could not account for the €6.7 million contribution it made to FIFA in 2005 or how it was used. Also, when you look at everything else FIFA is accused of doing, this little bit of possible chicanery is not nearly so outrageous. Germany beat out South Africa, England, and Morocco to win the rights to host that 2006 tournament. South Africa won the rights to the ensuing tournament in 2010 and is now alleged of having paid FIFA a $10 million bribe to secure that tournament, according to revelations about the U.S. Justice Department’s probe into FIFA.